Can you help Cat’s Aid, Please? 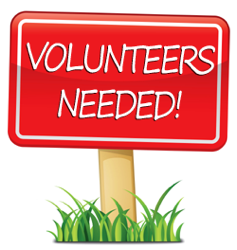 Cats’ Aid urgently needs new volunteers to assist in our work. We have reached a crisis situation and if we don’t get some help we may have to cease operations, which would be a shame after thirty years of helping countless hundreds of cats and kittens. Our telephone Helpline. This involves dealing with requests for help with TNR etc. and enquries about homing cats. We need people to take over 1 or 2 days per week to start with. A good telephone manner, patience and tact are needed. House visits. We always like to visit prospective adopters in their homes, to meet them and to see where the cat would be living. Help with this is needed especially in the inner city and north side. Emails. This involves responding to email enquries, passing on queries, etc. Foster Carers Temporary homes are urgently needed for our kittens and cats. Transport Bringing cats to and from vets and homes. Delivering traps, etc. Fundraising People to organize fund-raisers and new ideas for fund raising needed. If you can help us in any way, please either add your name and contact details to this page and hand it to one of our Core Group, or leave a message on our Helpline 6683529 or email catsaid@gmail.com. Please spread the word; we can’t continue without your help.